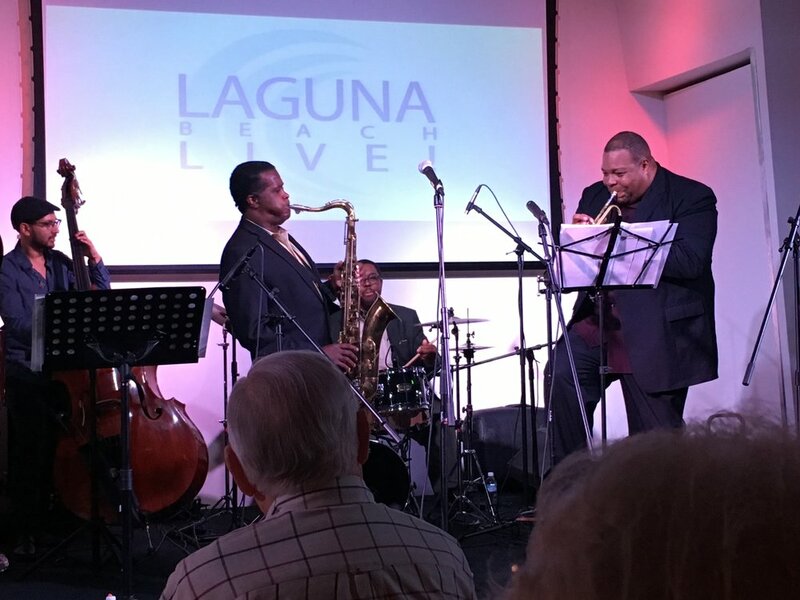 JAZZ WEDNESDAYS WINTER SERIES 2019 presented by Laguna Beach Live! Series begins January 30. TICKETS ARE NOW ON SALE! — Laguna Beach Live! JAZZ WEDNESDAYS WINTER SERIES 2019 presented by Laguna Beach Live! Series begins January 30. TICKETS ARE NOW ON SALE! Jazz Wednesdays Winter 2019 presents some of the hottest straight-ahead jazz musicians in the region in an intimate cabaret setting. Concerts are every two weeks, January 30 - March 27, 6:00-8:00 pm. Tickets make great gifts! Jazz Wednesdays Winter 2019 is located in the distinctive [seven-degrees] event facility, 891 Laguna Canyon Rd. Concerts are 6:00-8:00 pm, doors open at 5:00 pm. Full bar and buffet dinner menus are available for purchase starting at 5:00 pm. Tickets are $25 in advance, $30 at the door, season tickets $125. Seating is assigned according to date of purchase, season ticket holders and Laguna Beach Live! membership. Reservations are accepted until noon on day of concert or until sold out. For more information and to purchase tickets visit www.lagunabeachlive.org or call 949-715-9713.